Here are our/your Custom Bike, Harley customized, improved, made ​​unique in style and performance. The attention to detail is always maximum, we are always looking for new solutions to amaze with each new custom. Owner: Fiorenzo. 883 del 2008. Owner: Paolo. Sportster 1200 Roadster del 2005. Owner: Marco. Sportster hugger 883/1200 del 2003. ’03 Harley-Davidson xlh Sportster 883/1200 100th anniversary edition revisited as older Sportster models from the 90’s, most probably the nicer color from factory in those years. Owner: Andrea. Dyna Streetbob 1450 del 2006. Owner: Pezza. Sportster Sport 1200 del 2002. Owner: Simone. Sportster Hugger 883 del 1997. Exhaust hand made TIG welded, seat holder made ​​from the tail end of a knucklehead rear wing, racing air filter made ​​of cast aluminum, firestone tires, floating brake discs, polished engine cases, handlebar with handlebar controls and custom headlight with small dish amber. 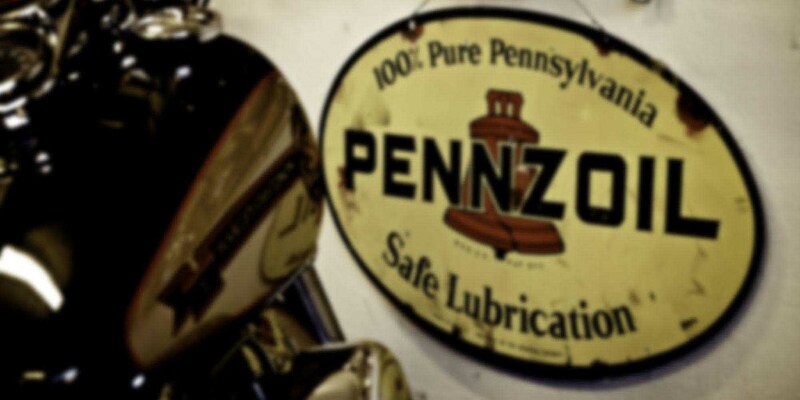 Painted with black and white stripes, original petrol tank decal with VL by 1933. Owner: Martins. Dyna Superglide del 1997. Owner: Filipp. ’66 FLH chopper. Engine and transmission Panshovel on straight leg rigid frame Panhead, Superglide front end with front wheel hub from small chopper 60s and rubber Avon speedmaster. Rear tire firestone, platforms Anderson, Flanders buckhorn handlebars, carburetor S&S Super B, ironhead sportster fuel tank, belt drive discovery and many other parts in original condition. Owner: Carol. Sportster Standard 883 del 1998. Small tank with decorative plaques speed wing, short section of a bobtail rear fender with chrome edging, handmade handlebar with handlebar controls and levers custom shortened. Hotrod by firestone tire to the rear wheel and avon speedmaster on the front, axle stylish headlight and chrome covers for the fork legs. Brushed motor with mufflers drag pipes and air filter from Easyrider Japan. Owner: Enrik. Sportster Custom 1200 del 2000. Owner: Emanuele. Softail Night Train 1450 del 2004. Owner: Iacccopo. Dyna Superglide 1450 del 2003. Owner: Gino Ginello. Sportster Sport 1200 del 2000. Owner: Massimiliano. Softail Heritage del 1995. Owner: Alessio. Softail Fatboy 1340 del 1997. Owner: The Invisible Owner. Sportster Standard 883 del 1989. Exhaust handmade stainless steel TIG welded, seat holder handmade, racing air filter made ​​of cast aluminum, firestone tires, engine casing satin, custom handlebars with handlebar controls. Petrol tank original glazed with decal sportster classic but with added racing. Engine displacement increased to 1200 cc, Wiseco pistons, adjustable pushrods and Mikuni 42. Owner: Sig. Precisino De Perfettinis. Softail Night Train 1450 del 2002. Steering type fatboy lowered handlebars handmade with custom handlebar controls, rear fender brushed metal obtained from the tail section of a fender flathead, front and rear tire firestone avon speedmaster, floating brake discs Harley, headlight knucklehead with amber glass and fuel tank from peanut sportster aged white with emblems from ’51 panhead -’54. Owner: Mr Caciotti. Sporster Custom 1200 del 1998. Owner: Emiliano. Softail Standard 1340 del 1999. Owner: Al Capone. Sportster Hugger 883 del 2005. Owner: Svantze. Sportster Standard 883 del 2002. Owner: Max Bronx. Softail Fatboy 1450 del 2003. Owner: Matteo G. Sportster Sport 1200 del 2002. Owner: Dimitri. Dyna Superglide 1340 del 1997. Owner: Paola. Sportster 883 Hugger del 2003. Owner: Jacopo. Dyna Superglide 1340 del 1998. Owner: Massimo. Softail Standard 1340 del 1999. Owner: Lorenzo. Sporster Hugger 883 del 1996. Owner: Big Lorenz. Dyna Wide Glide 1340 del 1997. Owner: Luca. Dyna Street Bob 1450 del 2006. Owner: Andrea “Mauro” “Marchino”. Sportster Hugger 883 del 1996. Owner: Matteo. Softail Standard 1340 del 1999. Owner: Marco. Softail Night Train 1450 del 2002. Owner: Simone. Sportster Hugger 883 del 2005. Owner: Matteo C. Softail Fat Boy 1450 del 2000. Owner: Alberto (Cammellino). Heritage Softail 1340 del 1994. Owner: David. Sportster Roadster 1200 del 2004. Owner: Massimiliano. Softail Heritage 1340 del 1997. Owner: Simone. Softail Custom 1340 del 1991. Owner: Stefano. Softail Springer 1450 del 2002. Owner: Cristina. Sportster Hugger 883 del 1997. Owner: Paola. Sportster Hugger 883 del 2003. Owner: Matteo. FXR Sport 1340 del 1992.